The current city lighting system that leaves many areas uncovered induces unsafe perceptions and instigates crimes. The addition of ubiquitous surveillance is an intrusion on privacy and does not take real-time actions. The cold, lifeless light shines in the darkness, trapping people in the solitude of silence. These absences motivated us to create Twinkle - a luminous transformative creature inhabits on light posts. They are curious aerial animals attracted by human activities. During daytime, they rest on urban light posts, expanding their solar panels for charging. At night, they interact with individuals walking on the street in their own way based on their distinct personalities. Twinkles are indirect solutions for improving urban safety without surveillance. We envisage a future that appliance goes beyond machine and becomes a companion with us. Imagine a city with flying light: as night fell and darkness creeps in, all of a sudden there’s a bright sparkle, and another – one by one lighting up the city street. Soon the sullen city comes alive, orchestrated with a natural rhythm of “Twinkle”. Twinkle is a safety companion that one doesn’t need to carry around or push a button to trigger. It will always be there for you when needed. Imagine the following scenario: A girl walks home alone at night. She feels unsafe because it's dark with nobody on the street. Then Twinkle comes to light up her way. As she enters the yard of her house, the Twinkle from street communicates with Twinkles in her yard to light up the yard and then it flies back to its original light post. As she enters her room, Twinkles in the yard turn on the lights in the room. From friendly to annoying, from inactive to active, these flying creatures interact with people in their own way: "Puppy", with trusting and affectionate characteristic, is interested in playing with children. "Big Boss", being confident and disciplined, stands at a high altitude to be aware of the surroundings within its territory. During emergency, it reacts fast to direct people’s way by showing evacuation directions with its light skin. "Bumblebee" is very sensitive to suspected behaviors and acts fast accordingly. "Anti-social Guy" is not interested in anything happening around. 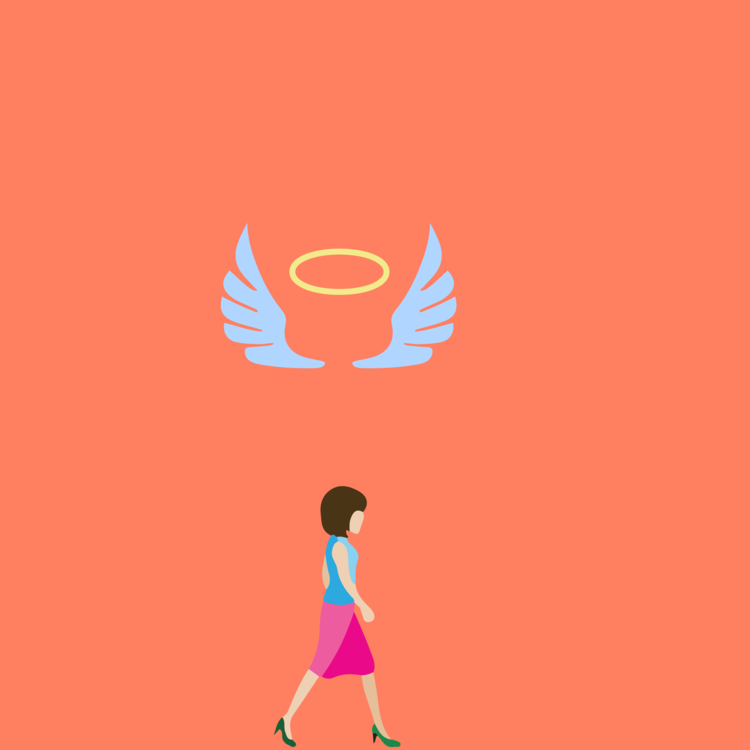 "Guardian Angel" keeps girls walking alone at night safe and sound. It’s protective, calm, and softhearted. "Coach" guides people's sports training and helps optimizing training route. 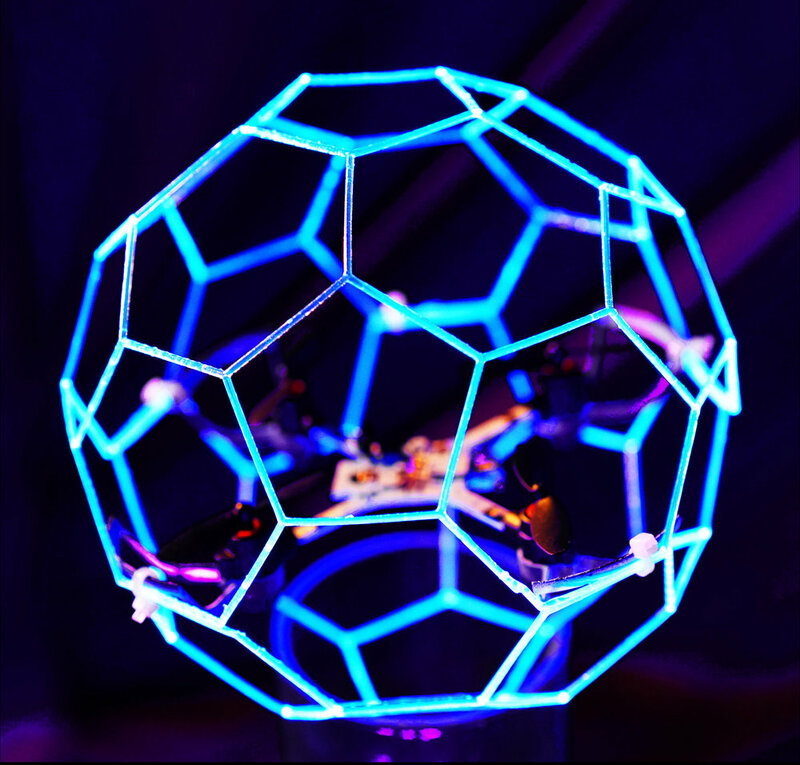 The basic components of Twinkles consist a polyhedron shell made of optical fiber and LEDs to express the emotion of Twinkles and prevent the direct contact with the propellers, a full quadcopter system that listen to the signal from the base station, and LEDs to provide adequate lighting. The light post stations are Twinkles’ nests that work as charging docks at daytime, and tracking stations at nighttime to understand people's behavior and send data to Twinkles. The station consists a dock for wireless charging and behavior sensing module to capture and process surrounding people’s behavior and send data to Twinkles. 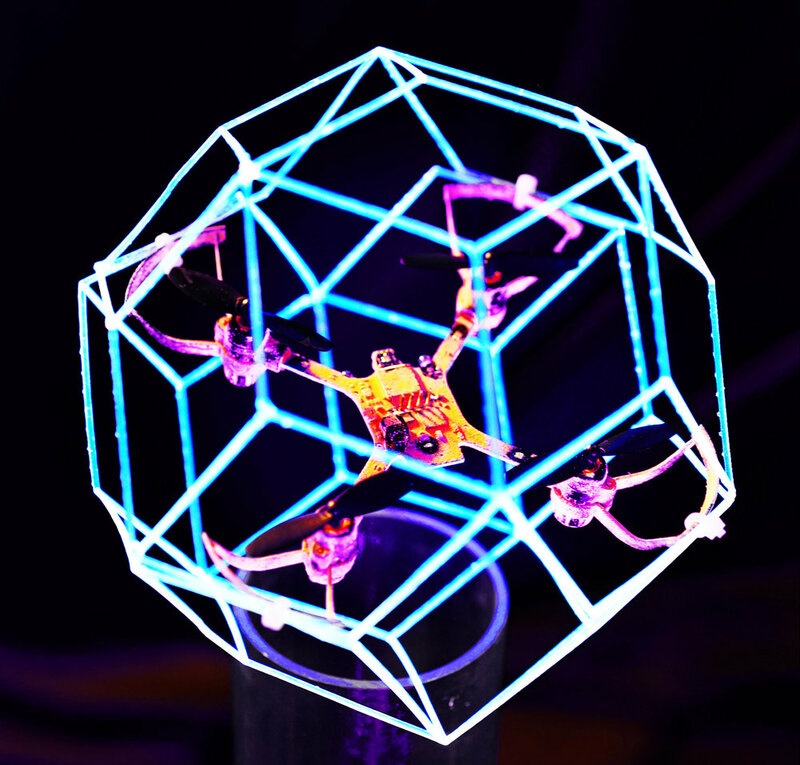 Twinkle's skeleton transformation is based on the octahedron-cuboctahedron jitterbug transformation. 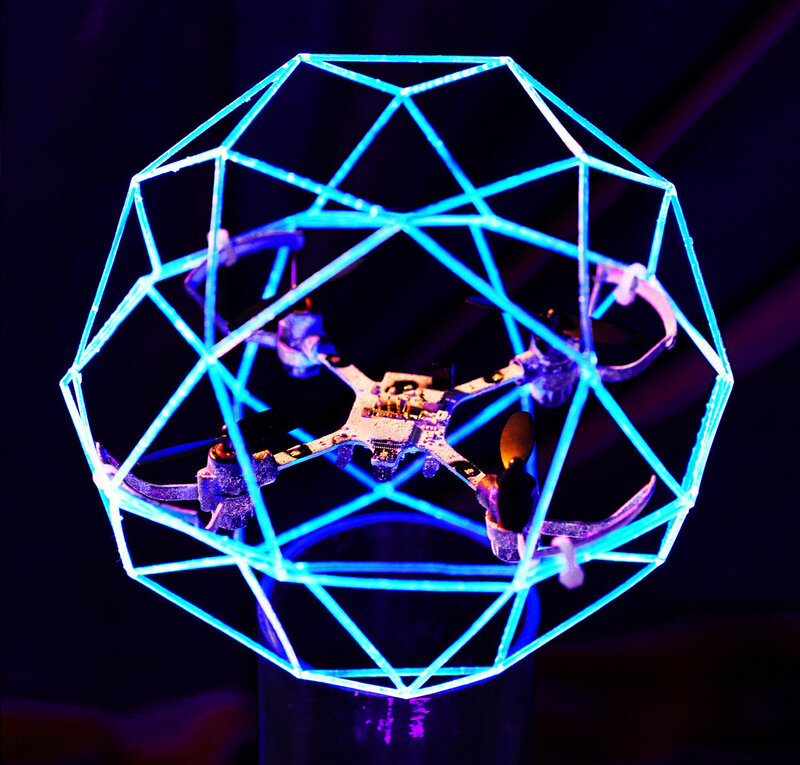 During nighttime, the triangle frames are compressed into smaller octahedron profile to minimize the impact on aerodynamics of the center quadcopter. During daytime, the actuator pushes the bottom and top triangle frames to trigger the symmetry rotation of each triangle frame on the rotation nods. This transformation gradually reveals the thin-film solar cell folded in quadrangle gap between the isosceles triangle structure. This design creates solar absorbance coverage as big as the original octahedron surface area and provides shading on the pedestrian during daytime. The structure is wrapped back to octahedron to improve mobility and prevent the solar cells from blocking artificial lighting after sunset.